Ven a este restaurante y toma algo si tienes hambre tras disfrutar de United States Custom House. Han Dynasty se ha especializado en cocina china. Si tienes hambre, ven aquí a tomar sus famosos tallarines dan dan, su extraordinaria pasta o su exquisito chile. Saborea las sorprendentes tortitas y el perfectamente elaborado helado que tiene este lugar. Aquí puedes pedir una excelente cerveza lager, una estupenda cerveza inglesa o un delicioso vino. Cuando visites este lugar, tienes que probar su sensacional té tailandés, su espectacular ponche o su magnífico café americano. Es su atmósfera íntima y su precioso interior lo que hacen que este restaurante sea tan bueno. Una serie de usuarios encuentran que aquí el personal es eficiente. Han Dynasty brinda un fascinante servicio a sus comensales. Según el criterio de los clientes, sus precios son asequibles. Muchos de los usuarios activos de Zomato han valorado este lugar con un 4,2. 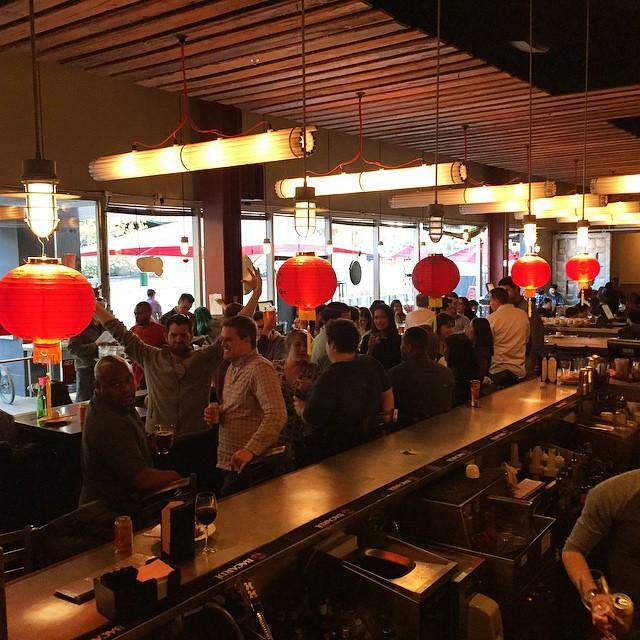 This is a great place to go with a large party or eat at the bar solo. 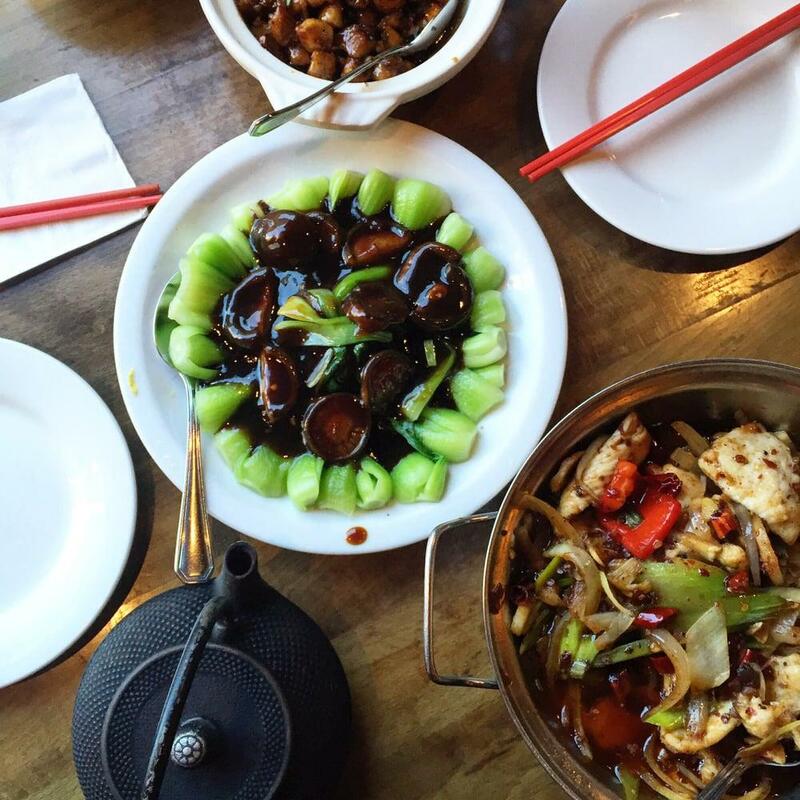 Open for both lunch and dinner, this Old City spot serves up delicious Szechuan food to your requested spice level, flavorful and fast. My favorites include the pork fried rice, the chili wontons, dan dan noodles, mapo tofu, spicy crispy cucumbers, and the dry pepper chicken. They also deliver to most neighborhoods in the city through Caviar. Absolutely love Han Dynasty, especially this location because it's the one with the spiciest dishes! I come here as well as order take out from Han on a pretty regular basis, and love living so close to it. Regarding the space of this location, it is a very large area in what looks like an old bank. There is a big bare area with high tables around it, and there is also a very large seating area. I rarely have had to wait more than 20 minutes to get seated even on a weekend night, but the wait is longer with a bigger group. The food and drinks here are both awesome. They have a great beer draft list, as well as some good wines and some creative cocktails. 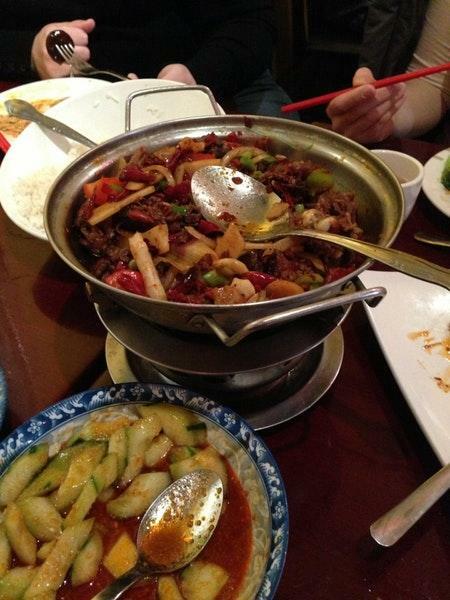 For food, we usually order the dumplings in chili oil, spicy cucumbers, and dan dan noodles to start. Their dan dan noodles are their signature dish and they're incredible, so I definitely recommend those. I also wouldn't sleep on the cucumbers because they're perfectly spicy and refreshing. 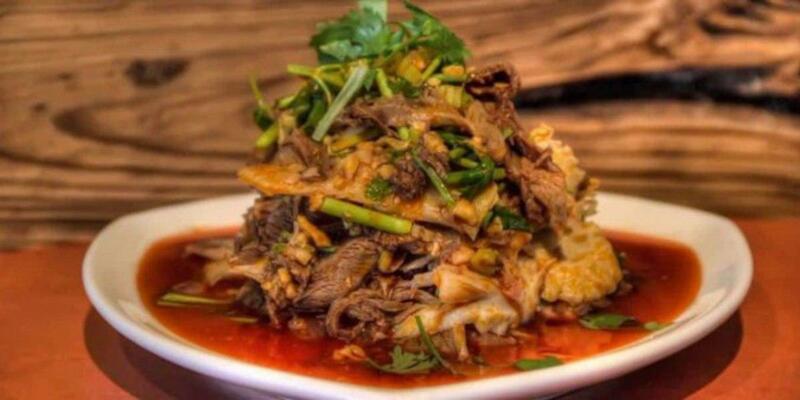 For the entree, my favorite dish is the garlic style beef which is very tender. 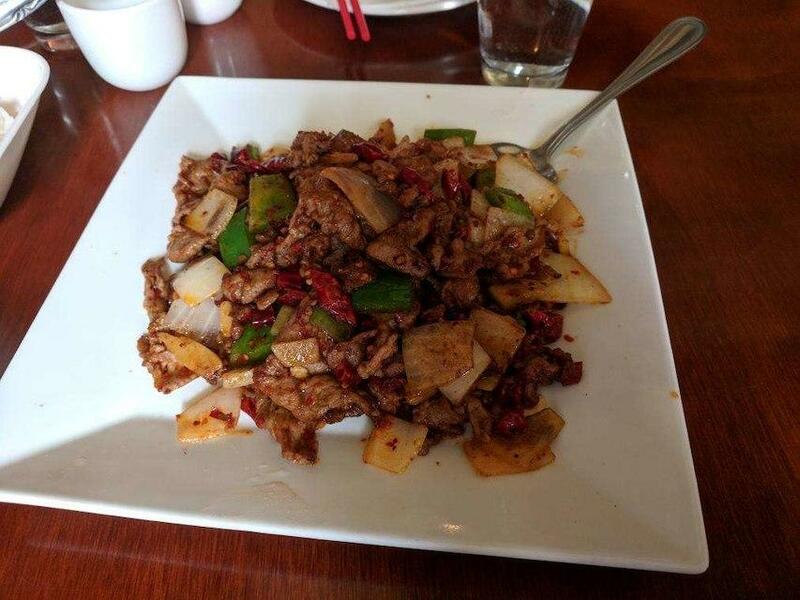 I also really enjoy the kung pao chicken. The numbers next to the names of the dishes indicate how spicy the dish is - so beware! You definitely end up sweating a little bit after you're done. 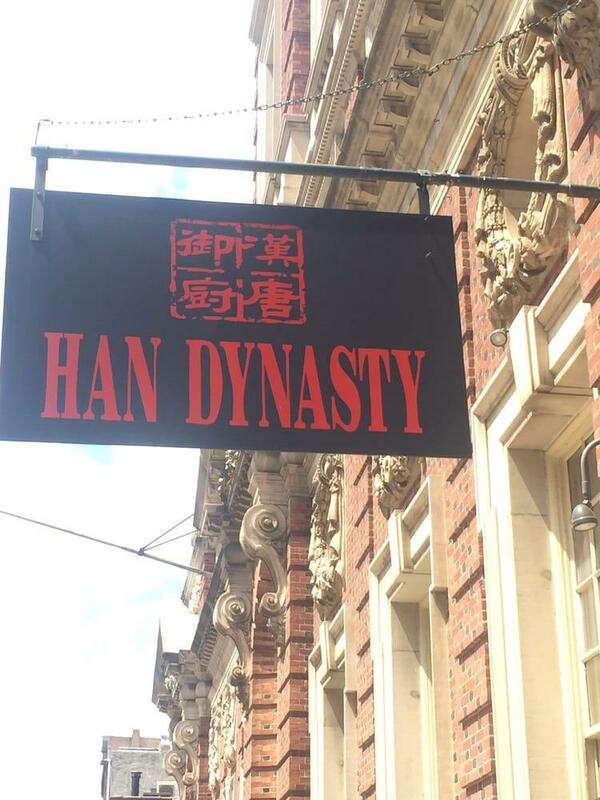 Han Dynasty is one of my favorite places in the city and I highly recommend it!